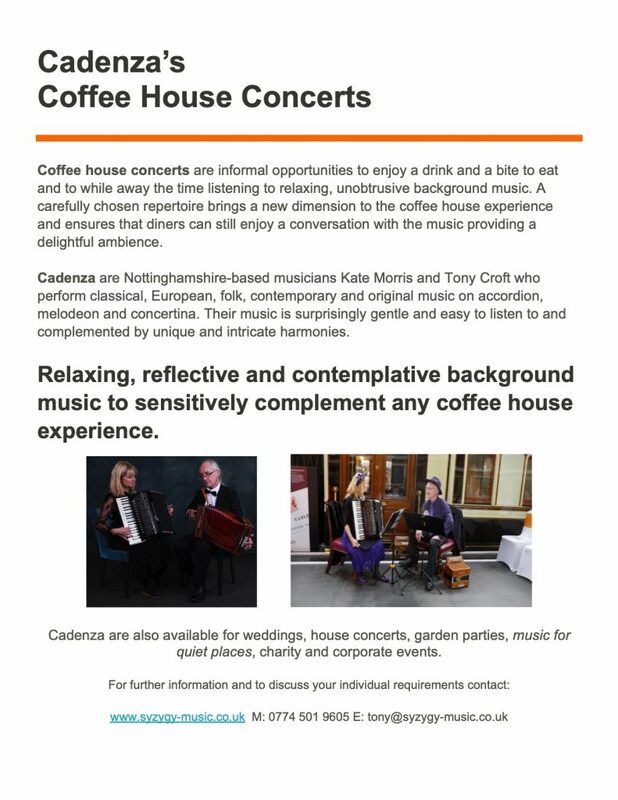 Welcome to the website of Nottinghamshire-based musicians Kate Morris and Tony Croft. 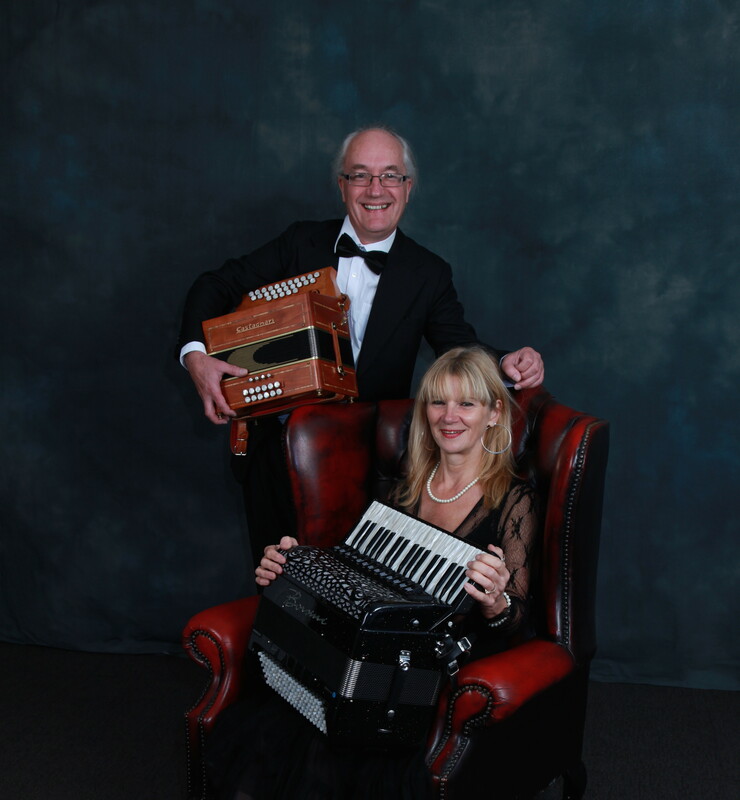 Kate and Tony perform traditional, French, folk, classical, contemporary and original music on accordion and melodeon. Their various repertoires are suitable for special occasions, background music, residential and retirement homes and general entertainment. 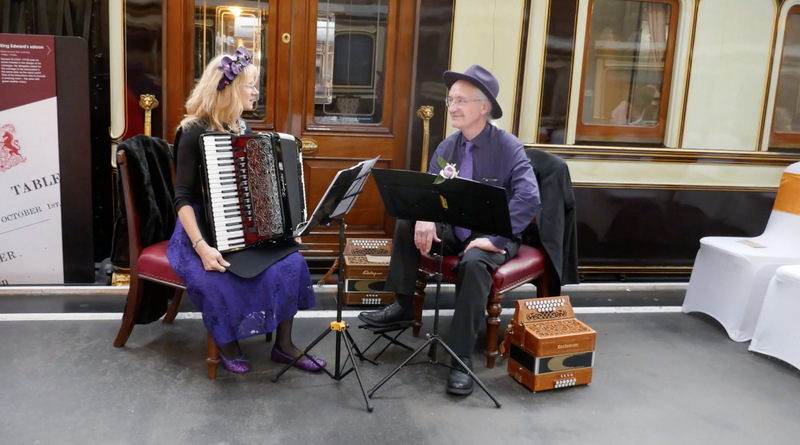 As Rendezvous they perform as an accordion duo playing French Café music, including compositions by Edith Piaf, Hubert Giraud and Henry Mancini. This repertoire is suitable for French themed events such as garden parties, French restaurants and Beaujolais Nouveau celebrations. As Cadenza they perform classical interpretations of much-loved melodies from Beethoven, Offenbach, Mozart, Pachelbel and many other composers, weaving unique and intricate harmonies around tunes. This repertoire is suitable for background music, weddings and corporate events. A recent project is a suite of arrangements of some of Turlough O’Carolan’s wonderful repertoire. 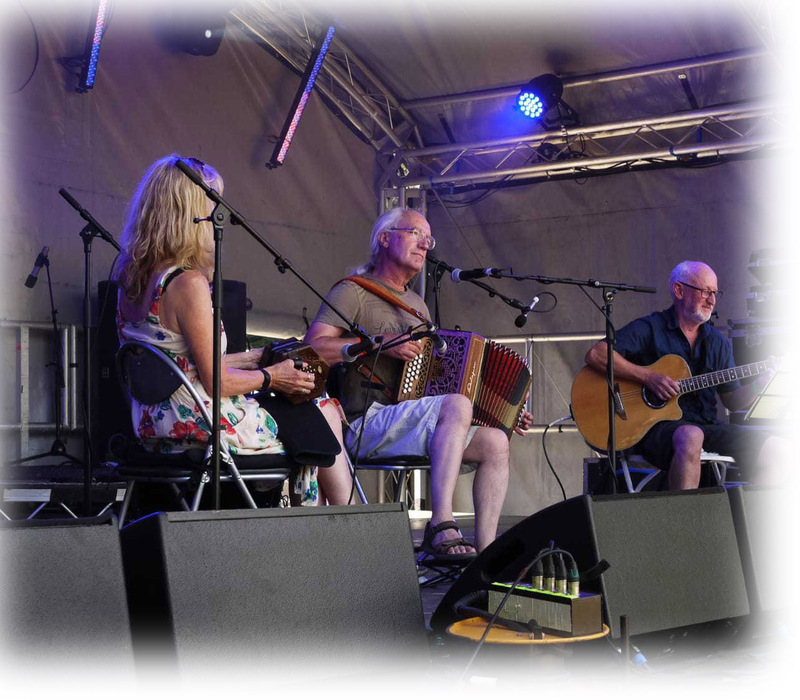 As Summerwood, Kate and Tony play with Kent Prentice, recently performing “Summerwood play Carolan” at the Folk in a Field Festival, Norfolk in July 2018, returning again in 2019. Variety can be introduced into some performances by including the concertina, the flute, songs and clog dances. Tony is a very experienced and award-winning teacher and brings a wealth of expertise to making challenging topics accessible. He can tutor the melodeon and is available for both private tuition and running small group workshops. He writes for the melodeon and has published the melodeon tutor books Melodeon Classics – from Morris to Mozart – abridgements and arrangements of classical melodies for the melodeon, Melodeon Classics – from Morris to Mozart Volume 2, and The Christmas Box – Melodeon Carols, arrangements of carols for the D/G melodeon. April 2017 saw the culmination of another project – Turlough O’Carolan for the Melodeon. For Further information follow the links above where you can find sample tracks, images, videos, publicity material and more. For more information and for booking enquiries, please contact us.